We’ve reached Day 19 in our series, 31 Days of Five Minute Free Writes, and today’s prompt is: HONOR. “Honor your father and mother, so that you may live long in the land the Lord your God is giving you” (Exodus 20:12). In the New Testament, Ephesians 6:2 tells us this is the first commandment with a promise. 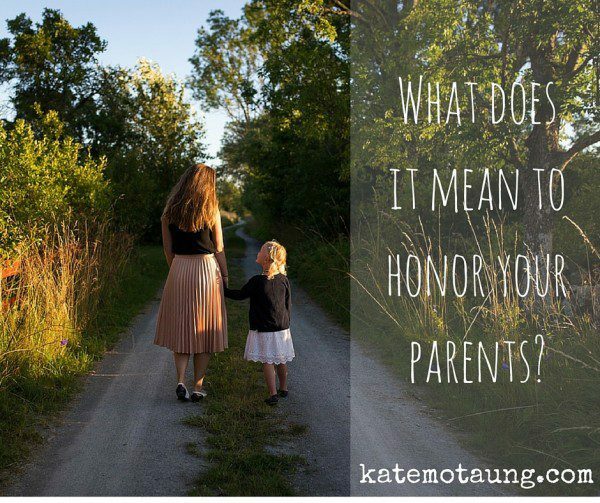 But what exactly does it mean to honor our father and mother? I would say it boils down to respect. Honoring our parents means showing them proper respect, both directly and indirectly — in conversation with them, as well as in our thoughts, words and actions when they are not present. But what about if our parents are not believers? Do we still have to honor them? Yes. It’s still possible to show respect and honor to an unbelieving parent. The Bible doesn’t say we have to agree with them. If the rubber hits the road and our parents are asking us to do something that contradicts our convictions as children of God, then we are to obey God and His Word rather than our parents. What if our parents are dead? I believe it’s still possible to honor our parents through what we say and think. It’s possible to honor their lives and their memory, even if they’re no longer with us. Their absence doesn’t give us a right to be disrespectful. No, I don’t think so. When we grow up and move out of the house, we’re no longer obligated to obey our parents the way children are to obey, yet our obligation to honor our parents never ends. What questions have you battled with regarding this commandment? We’re on the same wave length again. I discussed honoring our father when we are fatherless. I agree that obedience does not equal honor. Sometimes honoring our parents means not holding grudges against them. Thank you for being a wonderful host for Five Minute Free Writes!